Bear Information - Be Bear Aware! The Incline Village Substation is a full-service satellite station which provides all necessary law enforcement services to the citizens and visitors of Incline Village and Crystal Bay. 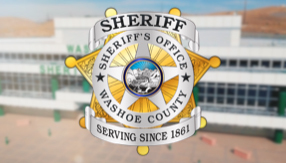 The Incline Village Substation of the Washoe County Sheriff's Office has the primary responsibility of providing law enforcement, search and rescue, and civil process services for an area from the Mt. Rose summit to Crystal Bay and Incline Village on the northeastern shores of Lake Tahoe. Services available at the Substation include processing of work cards, fingerprinting, Concealed Weapons Permits (CCWs), dog licenses, and civil process, as well as assisting in crime/incident reporting. Administration office phone: (775) 832-4107. 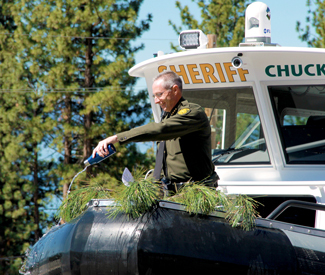 For over 20 years, the Washoe County Sheriff’s Office has been patrolling the waters of Lake Tahoe from the California state line to Carson County line. 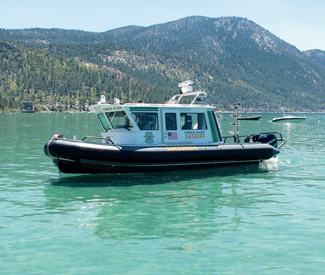 The Washoe County Sheriff’s Office Marine 9 is a Titan Pilot, T-280 RHIB (Rigid Hull Inflatable Boat) Vessel. This 28 foot vessel is the newest addition to the Washoe County Sheriff’s Office and the Incline Village Substation, Lake Tahoe. With latest radar, sonar, and navigational technology by RayMarine, Marine 9 is also equipped with Forward Looking InfraRed (FLIR), a video system, and a SirenMarine early warning system which notifies emergency operators of a variety of systems failures. 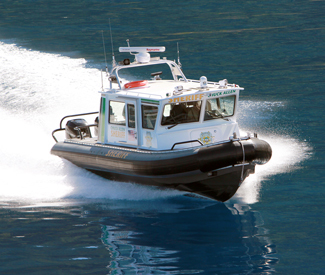 Marine 9 is powered by twin 300HP Mercury Verado engines with a top speed over 50 MPH. 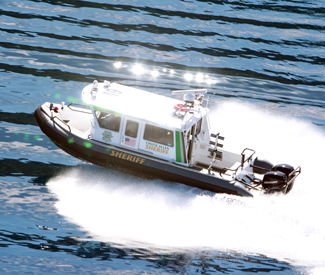 Marine 9 is crewed and operated by commissioned deputy sheriffs. Marine 9 was purchased in partnership with the community and with drug forfeiture funds.